This homeowner enjoyed the process of renovation and design so much she made a career of it. 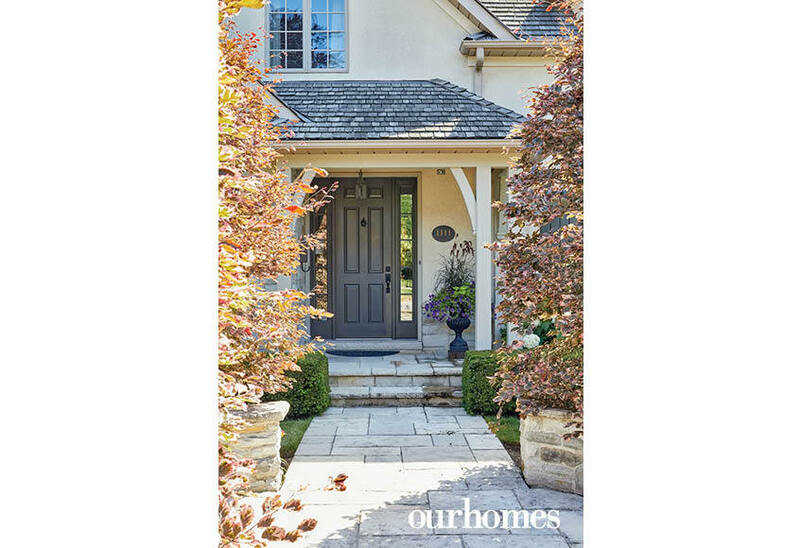 A version of this article originally appeared in the Fall 2018 issue of OUR HOMES Oakville Burlington Mississauga, p.26. Find local businesses in our Oakville directory. 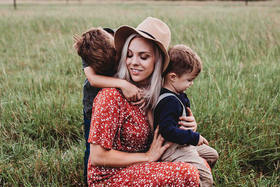 When Sandra Martone of Sandra Martone Interiors and her family custom-built their home in the beautiful Bailey Estates in Oalville over 18 years ago, French Country was the popular aesthetic. As the flair of French Country faded, the Martones found themselves looking around and questioning what to do next. “When we built our house, we were young,” says Sandra. 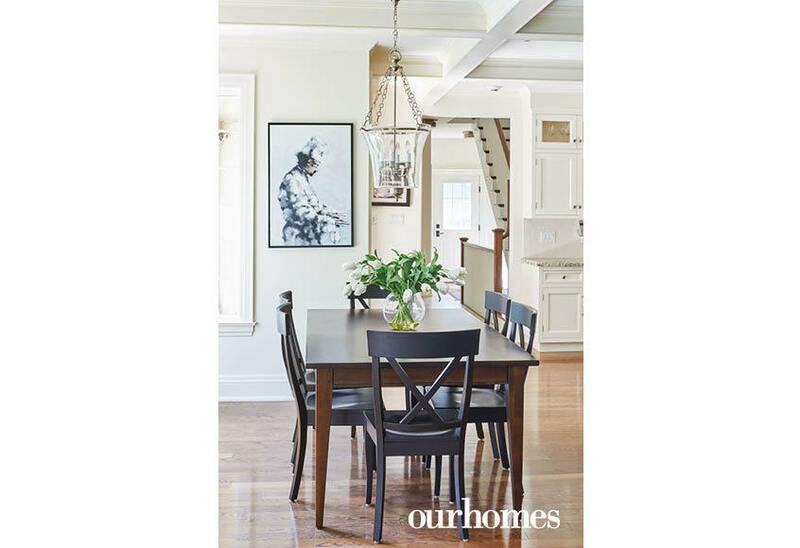 “We didn’t complete the finishes the way we wanted, so we thought, either we update the home or we move.” Still in love with the bones of the home that they’d carefully created, seven years ago they decided to tackle a major renovation of the first floor. The project became part of what inspired Sandra to enter the design world. She’s worked on many projects since, from new builds to full renovations of homes and condos. 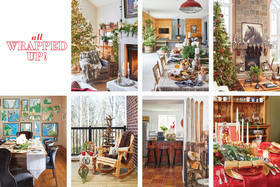 She’s also furnished spaces for clients with winter homes in Naples, Florida. She says the home's renovation design was inspired by the Ralph Lauren flagship store in New York, and work by designer Victoria Hagan. Though the original flooring and tilework remain, the rest of the home received a complete overhaul. Beams and mouldings were added to accent the soaring ceiling height and add interest to the walls and dormer window. A well-designed landscape highlights the beauty of the architectural features. At the front of the home, visitors might expect to be greeted with a grand entrance. Instead, a cosy, cottage-like vestibule with a stone facade that matches the fireplace is closed in by french doors. 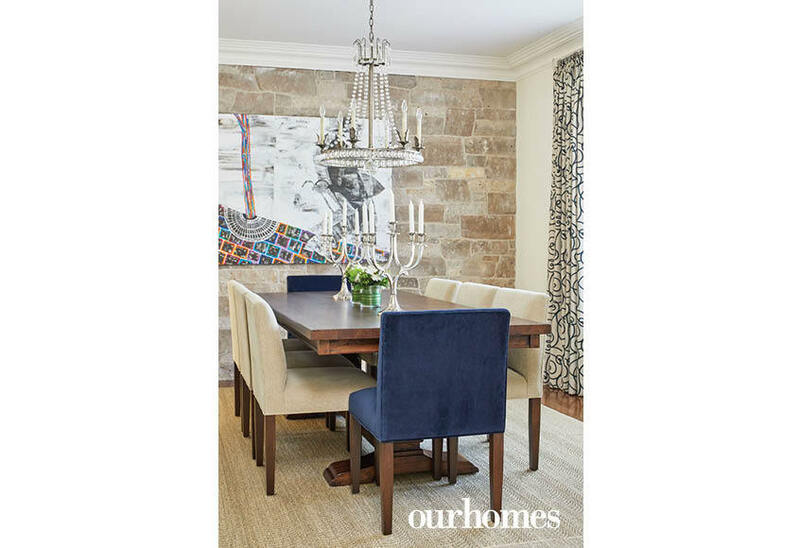 The dining room combines stone, crystal, wood and texture for a comfortable yet sophisticated feel. The room is elegantly appointed with a pedestal dining table, a sparkling chandelier and vibrant artwork. 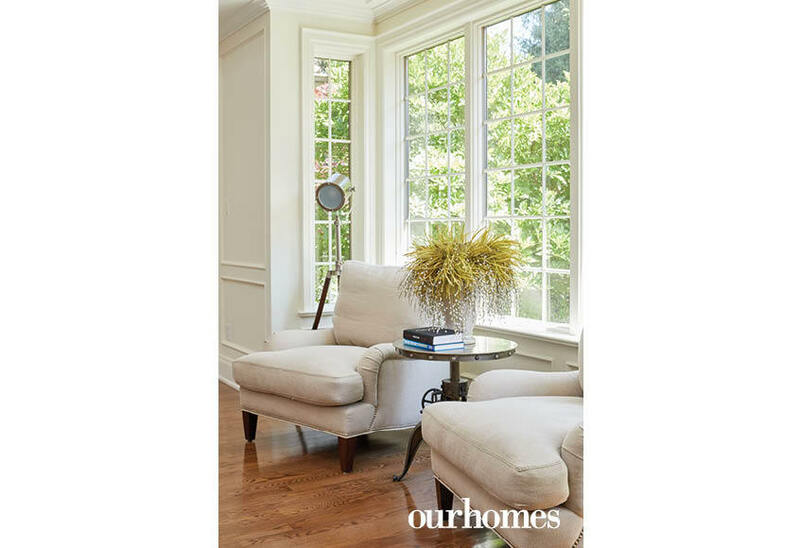 Classic millwork adds timeless details to the main living space. 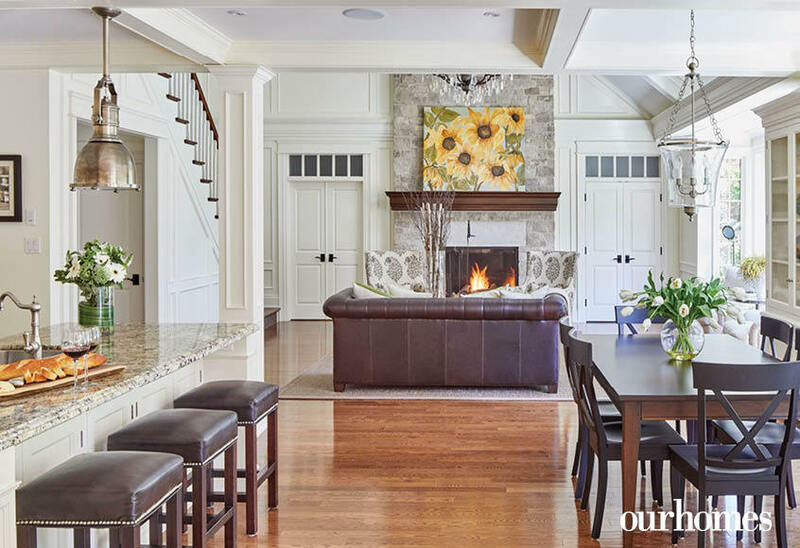 A floor-to-ceiling stone fireplace adds warmth and dimension. The overall effect conveys elements of classic New England style. A cosy seating area makes it easy to enjoy the view. Beams and mouldings were added to accent the soaring ceiling height and add interest to the walls and dormer window. In the kitchen, dark colours were traded in favour of fresh, white face-framed cabinetry and a glossy white backsplash. Granite brings colour and movement to the crisp surroundings. 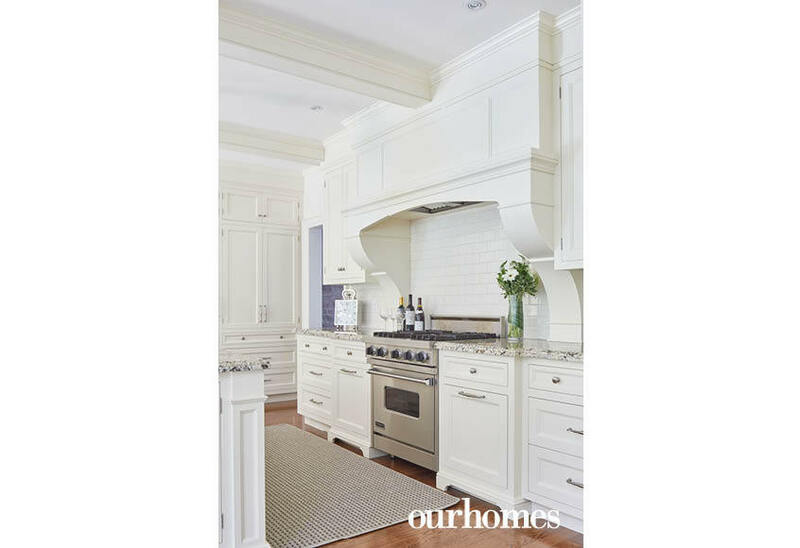 Warm floors and granite countertops add contrast to the all-white palette in the kitchen. An integrated hood fan creates a seamless aesthetic. The sight lines to the loft stairwell were considered for a smooth transition. 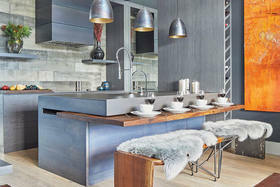 Touches of mixed metal help connect the design elements throughout. A multi-use space over the garage now serves as Sandra’s office. 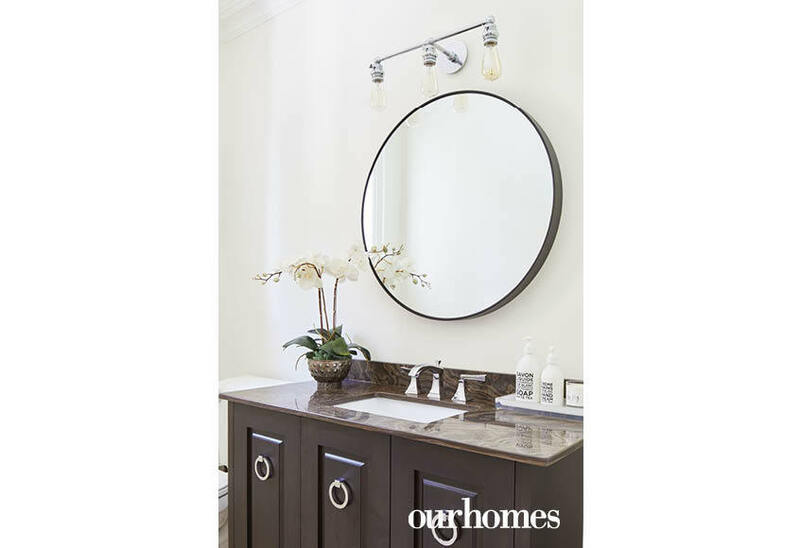 Timeless, elegant finishes are used in the master bedroom. Warm greys create a calm environment in the en suite.